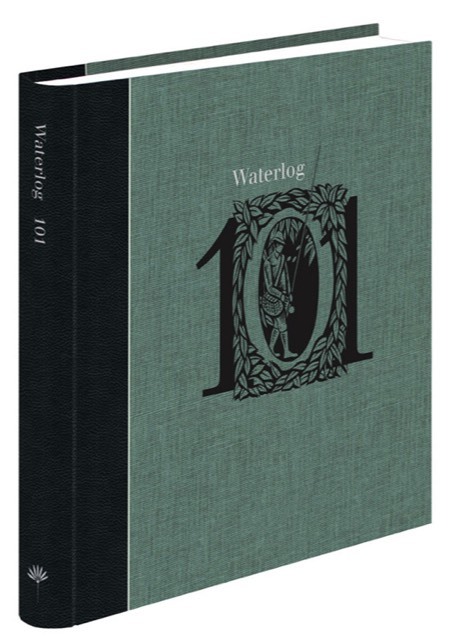 Waterlog 101 - is now available in a new hardback format. Below is how the first Waterlog looked (possibly) . 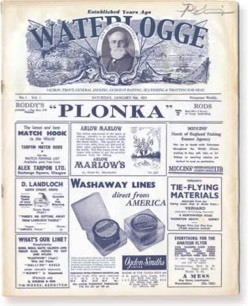 . .
Waterlog was actually founded in 1996 (published by Jon and Rose Ward-Allen and co-edited by Jon Ward-Allen and Chris Yates) with the objective of providing good quality, albeit eccentric stories in magazine format for anglers who enjoy the process of fishing as much, if not more than the catch. From Issue 51 up to 100, the magazine changed format and became quarterly rather than bi-monthly. Its coverage, whilst maintaining stories of high literary quality, and the regular spoofs, broadened to include the historical and environmental aspects of angling. It was a magazine that covered coarse, game and sea fishing, particularly suited to anglers who enjoyed a bit of everything. You will find in its pages articles on carp fishing expeditions, pike fishing, tench fishing, the odd gudgeon, memorable salmon fishing days, trout fishing, grayling, bass and all sorts of historical and humorous snippets. After the publication of Waterlog 100, and from the summer of 2018, Waterlog turned into a beautiful hardback book, edited by Jon and Rose Ward-Allen and produced entirely in the UK. It is only available direct from the Medlar Press website (where back copies of the magazine format issues can still be purchased). Waterlog has been described by some as the best fishing magazine in the world, but readers need to judge this for themselves. To find out more about Waterlog, click here.